The Auckland Academic Health Alliance (AAHA) is underpinned by a Memorandum of Understanding between Auckland District Health Board and the University of Auckland. The first MOU was signed in 2012. A revised MOU was signed in March 2015 to reflect the ongoing development of the relationship. 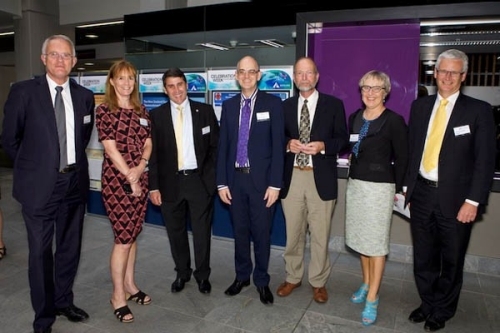 Launch of Auckland Academic Health Alliance: From left to right; Professor Stuart McCutcheon, Ms Ailsa Clare, Dr Lester Levy, The Hon Tony Ryall, Professor Ian Reid, Dr Margaret Wilsher, Professor John Fraser.